Trying to accurately explain a problem that the user experience on his computer can be difficult either due to not being able to use the correct keyword or write fluently in English. A picture is worth a thousand words applies in this situation by providing a screenshot of the error which would allow the helper to understand the problem and provide a possible solution that would solve the user’s problem. Actually a screenshot is only partly helpful because it only shows the problem but not the steps to replicate the problem. The better way to show the problem is by recording the screen and provide the video to the helper. 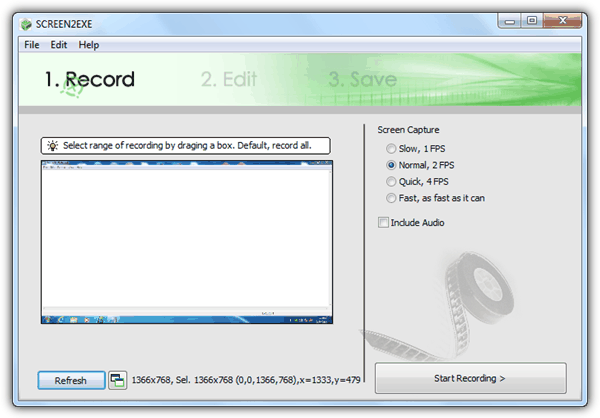 Fortunately screen recording has been greatly simplified and made easy throughout the years of research and development that any computer user would be able to do it with just a few mouse clicks. Here we list 10 software that can be used online or offline to record your computer screen for free. Each has its own pros and cons, so make sure you check them all out to determine which best suit your screen recording needs. 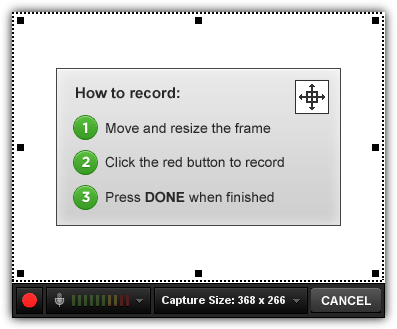 Screencast-O-Matic is our favorite screen recording tool which we currently use to create video demonstrations. It used to be an online application that runs on Java but it has become a hybrid where it can also be installed and run offline. The free version allows 15 minutes of recording and embeds a watermark to the video. The recordings can be published to YouTube or Screencast-O-Matic and saved as MP4, AVI, FLV or animated GIF. You can capture sound, webcam or specify the region that you want to record. Video editing tools and other extra features are enabled in the PRO version that cost $15 per year. ScreenCastle is an online application that runs on Java as well. There is no limit to the recordings and also no watermark. You can record your microphone and specify the region to be recorded. The videos are then uploaded where you can share the link to view or even a direct link to download the video. Although ScreenCastle does not come with a lot of features, but it is the most easy to use among all screencasting software. Screenr targets business users with the PRO plan that starts with $19 per month but they also offer free usage with limited features. It is an online app that runs on Java and the free account allows 5 minutes of recording. You are able to specify the region to record and also your microphone. What we didn’t like about Screenr is you must sign in with either Facebook, Twitter, Google, Yahoo, LinkedIn or Windows Live ID to create your Screenr username. Although the setup of a free account is greatly simplified with this method, but not all users are willing to connect their account to Screenr. Moreover, you can only download the video as MP4 or publish to YouTube after publishing the screencast to Screenr. Jing is the smaller brother of Camtasia, one of the most powerful and popular screen recording and video editing software created by Techsmith. There is a 5 minute recording limit and video editing is not possible. As for screenshot, it comes with a very basic image editing tools to add arrow, text, frame and highlight. You can save the image or video capture on your computer or upload to screencast.com. There used to be a Pro subscription that removes the 5 minutes capture limit but has been discontinued and advices to go for Snagit. It requires to create an account so you can share your captures online. Works on Windows with Microsoft .NET Framework 4.0 and Mac OS X.
HyperCam is by the makers of the excellent screenshot tool, HyperSnap. The latest version of HyperCam 3 is currently being maintained and sold by a different company while the previous version 2 is offered for free. HyperCam 2 can record both screen and sound including layered or transparent windows. One of a very unique and useful feature is the ability to move the captured region. The video recordings are saved as AVI format and there is no video editing tools. Take note during installation because it prompts to install adware. 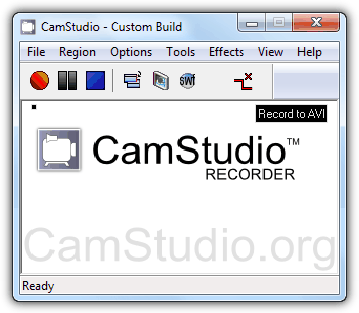 CamStudio is the most popular free desktop screen recording software but the development seems to have come to a halt which was last updated 2 years ago. 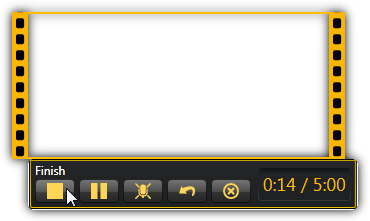 It has its own unique features such as recording sound from speakers, using a custom mouse cursor, auto panning where the captured area automatically follows the mouse cursor and saving the recording to SWF by converting from AVI. Do take note that Visual C++ 2008 runtime components are required to be installed or else you’ll get the error “The application has failed to start because its side-by-side configuration is incorrect” when you run CamStudio. SCREEN2EXE is a unique screen recording software compared to all because it is able to create an output file of an executable file which means you can directly play the video without relying on the media player software or codecs on the computer that you want to play. Another unique feature found in SCREEN2EXE is it can attempt to make the file size smaller by removing identical frames. There are simple editing tools such as adding annotation, image, zoom/focus, mosaic, delay, cut clip and audio-redub. 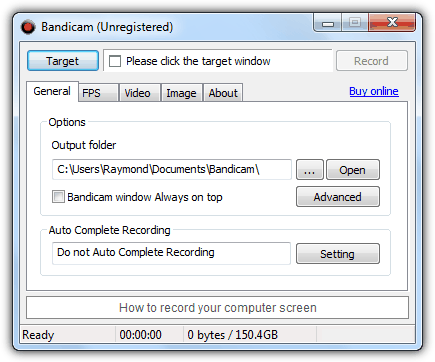 Bandicam is actually a shareware but it allows 10 minutes of free recording with watermark which is a better alternative than Fraps. The recordings are saved as AVI format only. The reason why we included Bandicam into the list is its capable of capturing video game screen through OpenGL or DirectX hooking. Moreover it is optimized to run on slow computers because it consumes very little CPU usage. 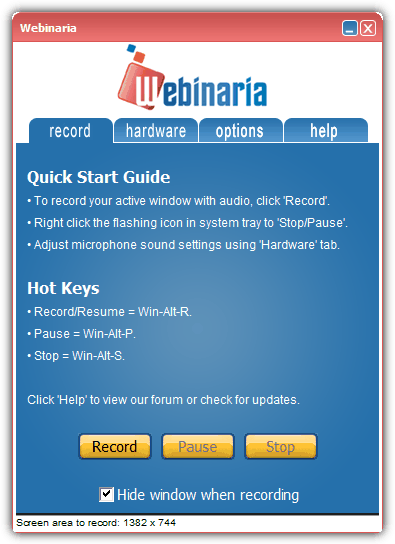 Webinaria is an open source desktop recorder that can record your computer screen, camera and sound without watermark or limitation. The output file can be either saved as AVI or FLV or publish to Webinaria’s website. 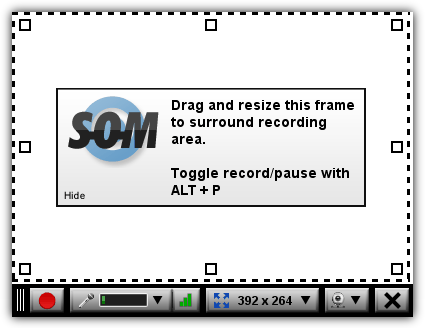 It is possible to add text to the recording on the simply video editor. We placed ActivePresenter as last in the list not because it is the worst but it is the most powerful one without watermark or time limit. There are 3 versions of ActivePresenter and the free one still comes with a lot of features, easily beating the other 9. Other than creating no time limit and watermark-less screen recordings, you can also capture screenshot with it. The output video file can be saved as AVI, MP4, WMV or WebM. The video editor takes a bit more effort to learn how to use because of the timeline. 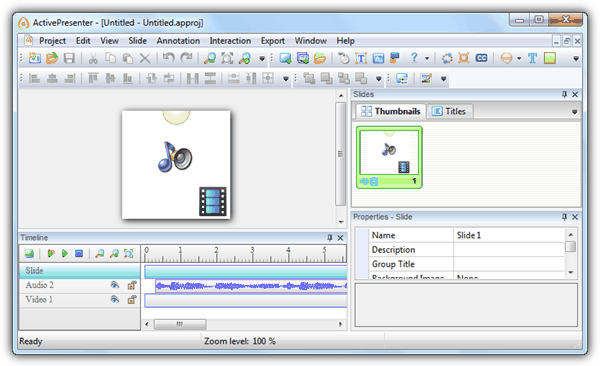 The video editor allows you to insert annotation such as shape, text, highlight, spotlight, feedback and even closed caption (subtitle). Interactions such as mouse clicks, text boxes, mouse hover and key strokes can also be created. Good to know these screen recording tools and thanks for the sharing. 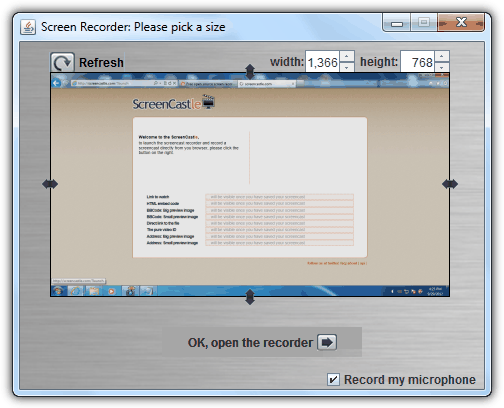 I always record webinar with a web-based software calls Acethinker Screen Recorder, It is an online tool that lets you record your screen right from the browser. You may add it to the list as well. Time to change the list. Screenr is not available now, And Java can not be compatible with Chrome browser, which means Screencastle is also out of use. Thanks so much. You have saved me a lot of time and work. Ray, glad I found your site by stumble with it on the internet. I fill you have the same way to see useful software like me, test it, and put it on a public place to share the unique software that makes the different, and save to your friends or family wasting too much time looking for one, in ocean of web sites full of spywares. And I’m glad you got it done. About these video recording, do you see any that can run for long time, at low fps, of course recording file in a certain fix size, so it won’t grow exaggeratedly big? Or even recording only by ‘motion’ ? Very useful tool to watch kids or employees activities, for example. Kind of DVR in your pc. Let us know! Thanks again! Well… I totally agree with the utility of this web-resource!